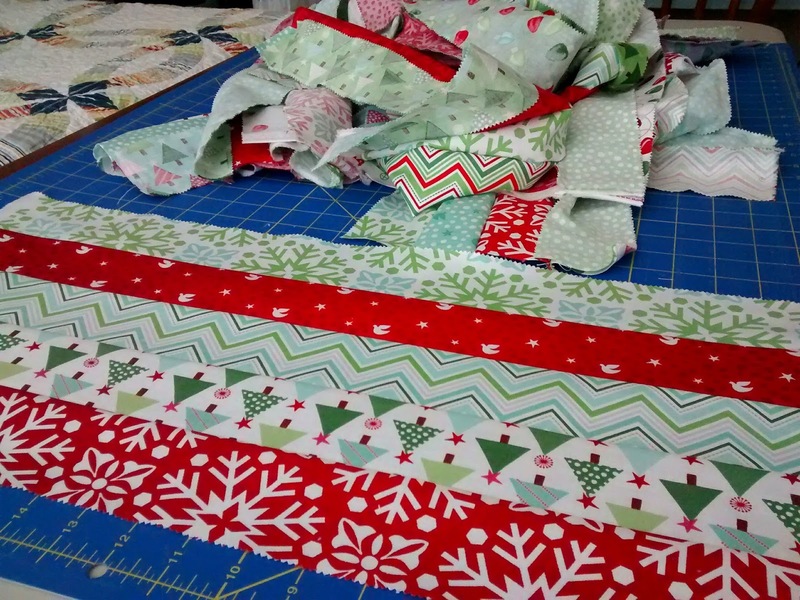 I'm working on a Christmas theme project, but only because it was the only Jelly Roll that was currently in my stash. It is a "Joy" jelly roll by Kate Spain. I actually won it on her blog a year ago. 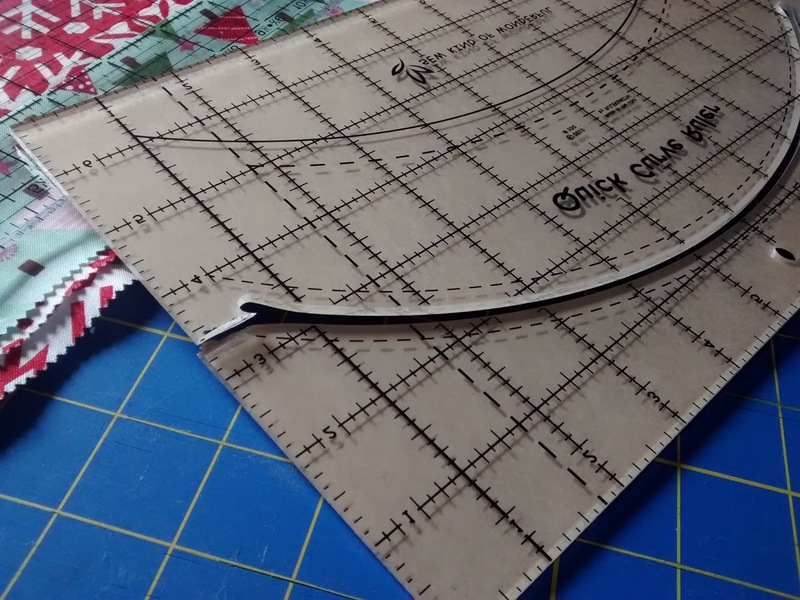 I recently purchased the "Quick Curve Ruler" from Connecting Threads (best price after shipping while on sale.) 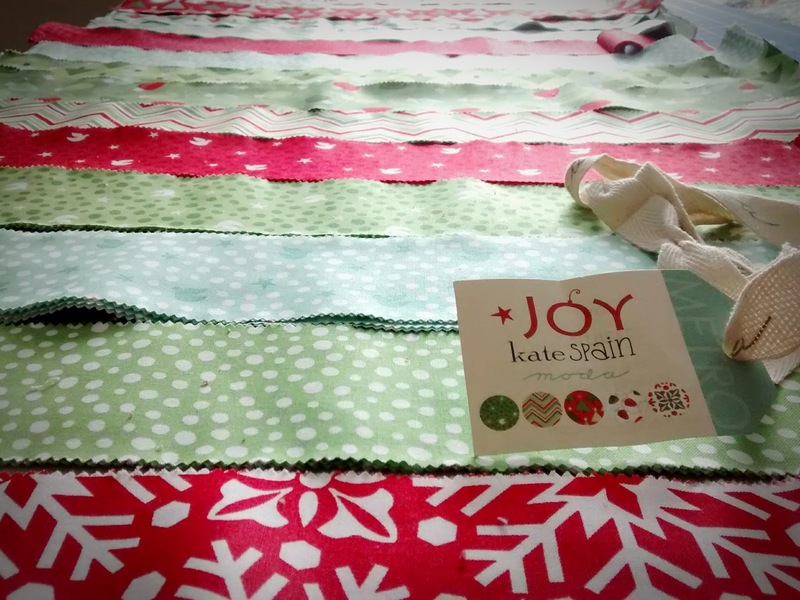 The pattern calls for a jelly roll so I thought this would be perfect to try it out with and end up with a nice Christmas quilt. The pattern I'm making is "Metro Rings" by Jenny of "Sew Kind of Wonderful." It is a nice take on the classic Double Wedding Ring quilt. I got a good start while I was waiting for my ruler by piecing the strips together. However once I had everything pressed and ready to cut, I realized the ruler was broken! I quickly called customer service and they were awesome, they are sending me out a new one right away to replace the broken one. I have ordered from Connecting Threads for years, this is the first time I have had an issue with an order. Their awesome customer service is going to assure I keep coming back! I like their polyester long arm thread. I wish it came in a billion colors. Have you made any of Jenny's patterns, or have one on your bucket list?